Great for any great letter opener collection! Made here in Japan. An miniaturized replica version of the Japanese sword. 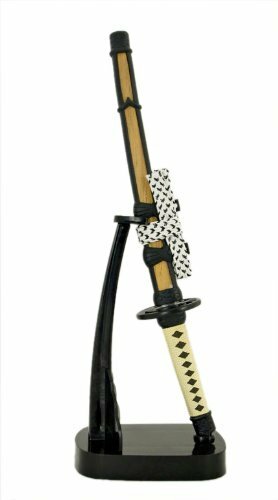 This item is featured as a Japanese Katanas. This miniature Samurai/Ninja Letter Opener set was designed to last in your home for many years. Perfect for any collector of ornaments or Japanese memorabilia. Practical and beautiful, this sword set goes well on both desk or mantle. If you have any questions about this product by Letter Opener, contact us by completing and submitting the form below. If you are looking for a specif part number, please include it with your message.